November 30, 2012 - The International Air Transport Association (IATA) announced global traffic results for October showing a persistent softening of passenger traffic growth and a significant deterioration in freight demand. Hurricane Sandy was a hurricane that devastated portions of the Caribbean and the Mid-Atlantic and Northeastern United States during late October 2012, with lesser impacts in the Southeastern, Midwestern states and Eastern Canada. Sandy, classified as the eighteenth named storm and tenth hurricane of the 2012 Atlantic hurricane season, was a Category 2 storm at its peak intensity. While it was a Category 1 storm off the coast of the Northeastern United States, the storm became the largest Atlantic hurricane on record (as measured by diameter, with winds spanning 1,100 miles). Preliminary estimates of losses due to damage and business interruption are estimated at $65.6 billion, which would make it the second-costliest Atlantic hurricane, behind only Hurricane Katrina. At least 253 people were killed along the path of the storm in seven countries. October freight demand was 3.5% below the previous year level and declined 2.2% compared to September. The freight load factor weakened to 46.1% from 46.7% a year ago. October international passenger demand was up 3.2% compared to the year-ago period, but contracted 0.2% compared to September. Several regions saw demand weaken compared to the prior month but in some cases results were affected by Hurricane Sandy, which struck the US East Coast in late October. International capacity rose 2.2% year-over-year and the load factor rose 0.8 percentage points to 78.3%. European carriers recorded 2.6% growth on international services compared to October 2011, the highest growth among the major regions although down from 5.5% year-on-year growth recorded in September. The load factor of 80.9% was the second strongest among the regions. Compared to September, European carriers experienced a 1.6% decline in traffic as Hurricane Sandy negatively impacted transatlantic travel, but the underlying growth trend continued despite weak or no economic growth in many European economies. North American airlines’ international traffic rose 0.2% compared to October 2011 after rising 2.1% in September. However, seat capacity declined 2.2%--reflecting the impact of Sandy--and load factor rose 2 percentage points to 82.2%, the highest among the regions. Demand declined 0.9% compared to September. Asia-Pacific carriers experienced an increase of just 1.4% compared to October 2011, unchanged from September’s year-over-year performance. Strong competition on long haul markets could be holding down growth for the region’s airlines, and reductions in international seat capacity by Indian airlines would also be contributing to the weaker growth. Compared to September, traffic rose 1.1%. Middle East carriers experienced the strongest traffic growth at 12.4% year-over-year, although this was nearly matched by a 12.1% rise in capacity that held the rise in load factor to just 0.2 percentage points to 75%. Compared to September, traffic rose 1.1%. Latin American airlines posted growth of 6.8%, second best among the regions, although this was eclipsed by a 7.6% rise in capacity that pushed load factor down to 76.2% from 76.8%. Compared to September, traffic declined 0.5%. The export-dependent continent remains vulnerable to declines in global demand, but in the second half of the year major economies like Brazil have shown signs of acceleration in economic growth. In September, consecutive quarterly expansion in GDP growth marked an upturn in the Brazilian economy, helping maintain demand for air travel. African airlines’ traffic climbed 2.8% compared to October 2011, while capacity rose 2.4%, raising load factor 0.3 percentage points to 67.7%, the lowest of any region. Demand declined 0.4% compared to September. Domestic markets rose 2.1% in October compared to a year ago, down from a 2.5% year-on-year rise recorded in September. The domestic market growth trend has been soft throughout most of 2012, and the market shrank 0.9% between September and October, partly owing to the impact of Hurricane Sandy on the US domestic market. Weakness in India, Japan and the US, stands in stark contrast to the strong growth experienced in China and Brazil. US traffic slipped 0.7% in October while capacity fell by 1.1%, pushing load factor up to 84%, the highest among all the domestic markets. IATA estimated that two-thirds of all passengers impacted by Hurricane Sandy were US domestic passengers. Demand declined 1.1% compared to September. China’s domestic market continued to rebound from the slowdown earlier this year with growth of 7.5% compared to October 2011. With capacity up 11%, load factor dropped 2.6 percentage points to 80.6%, which was still among the highest for any domestic market. Demand declined 1.5% compared to September. Japan’s domestic market fell 0.5% versus the year-ago period but climbed 1.5% compared to September. Capacity rose 2.6% year-over-year and load factor was the lowest for any market at 66.8%. The market still has not recovered from the impact of the 2011 earthquake and tsunami. Moreover, domestic demand in the export-driven nation is suffering from the slowdown in global trade. Brazil experienced the strongest growth, with traffic up 9.8% on a 0.9% rise in capacity, propelling load factor up 6 percentage points to 73.2%. The healthy result supports indications of an economic recovery in Brazil. Traffic expanded 0.2% compared to September. Indian domestic traffic plunged 12.4% in October compared to a year ago, the worst performance for any market, reflecting the weakening economy and the struggles within the domestic airline industry. Capacity declined 7.3% and load factor fell 4.1 percentage points to 70.1%. Air Freight (Domestic and International) - Air freight demand fell sharply in October, down 3.5% compared to October 2011 after being up 0.9% in September. The weakness in demand continues to be focused on Asia-Pacific airlines, while Middle East carriers experienced strong demand growth. Airlines reduced freight capacity 0.9% in October compared to September, but this was not sufficient to offset the demand decline with the result that unlike in passenger markets, freight load factors have started to weaken. Asia-Pacific carriers saw a 6.8% decline in demand in October compared to October 2011, the steepest decline for any region, while capacity fell 4.6%. Between September and October, two-thirds of the fall in global air freight volumes has come from Asia-Pacific carriers, as demand for Asian exports declined in the weak global economy. North American airlines had a 5.3% drop in demand, with a 5.4% reduction in capacity. European airlines had a 4.3% decline in traffic, with just a 1.7% decline in capacity. Europe’s airlines have seen only a 1% rise in demand since the 2011 fourth quarter. Middle Eastern carriers’ 13.4% rise in traffic came on an 8.6% rise in capacity, raising load factor 2 percentage points to 46.4%. Latin American airlines’ demand climbed 0.9% but this was exceeded by an 8.6% hike in capacity that pushed load factor down 3 percentage points to 39.3%. African carriers saw a 0.5% decline in demand and a 2.7% rise in capacity. Load factor of 26.6% was the weakest for any region. 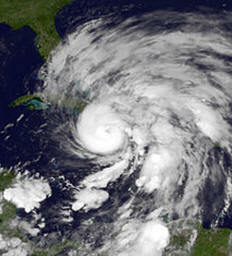 Hurricane Sandy was the big news story of October for the aviation industry. In total, nearly 17,000 flights were cancelled to the five most affected airports (the three New York area airports of John F. Kennedy, Newark and LaGuardia as well as Washington-Dulles and Philadelphia). At the peak of the storm on Monday 29 October 8-9% of global capacity was grounded which is equal to 1.6 billion available seat kilometers. A conservative estimate of lost revenues as a result of the hurricane is $0.5 billion. While there would be some savings from unused fuel, additional costs including those for passenger care and out-of-position crew would have been incurred. Globally air transport provides jobs for some 57 million people and supports $2.2 trillion in economic activity by connecting people and goods on 35,000 routes.